With over 20 years of working with clients involved in developing new stores, buildings, and shopping centers, Orlando construction & development contract lawyer Godfrey can assist both the experienced, as well as the new developer, in getting their project planned and in the ground. It takes a combination of numerous professionals (architects, engineers, surveyors, title companies, brokers, site planners, and possibly many others) to put together a viable project. Attorney Godfrey works to insure that a unified approach is taken, that all disciplines are coordinated, and that the project is managed efficiently to attain a timely completion. Within the industry, there are 2 basic types of “development” agreements that are encountered: (1) the development agreement that may be entered into with a governmental entity with an exchange of commitments to obtain project approvals, and (2) the development agreement entered into between multiple landowners/end-users to coordinate the various stages for the construction of a site. Attorney Godfrey works with state, county, municipal and other governing authorities to draft and negotiate development agreements that clearly reflect the commitments made by the developer and the authority, safeguarding the interests of the developer and avoiding undue governmental burdens. Attorney Godfrey also drafts and negotiates development agreements with adjacent property owners and end-users, which coordinate the timelines, as well as cost sharing, funding and cost reimbursements, for the various stages of construction. This can include everything from the rough grading of a site, to infrastructure planning, surface improvements, and building construction. Possibly one of the most confusing areas of contracting is that dealing with construction. Due in part to so-called “industry” standards and various regulatory provisions intended to safeguard contractors and subcontractors, protecting the landowner can be a daunting task. 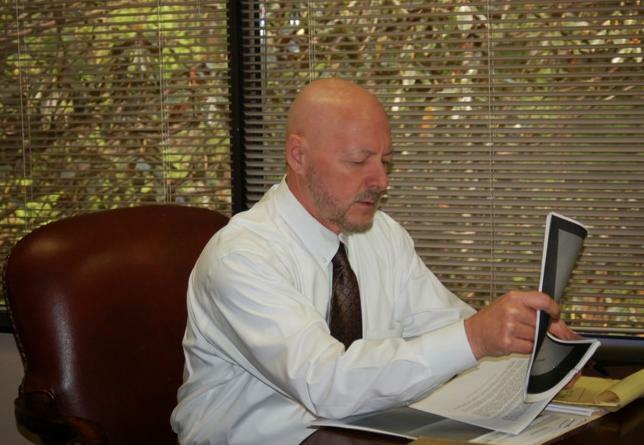 Attorney Godfrey has many years of experience in drafting and negotiating construction contracts for owners. Among numerous concerns are timing, coordination, completion, and the effects of change orders. Working closely with the architect, the engineer and the contractor, attorney Godfrey strives to clarify the duties, responsibilities and obligations of each of the parties, and endeavors to resolve disputes in a timely and harmonious manner. Many times, when thrust into the middle of disputing parties, attorney Godfrey is able to use his years of hands-on experience to find resolutions that are efficient, practical and economic. The owner is often caught in the middle of a dispute between the architect and the contractor, or between the contractor and a subcontractor, which are both typically asserted to be at the cost and expense of the owner. Attorney Godfrey has often been successful in negotiating and drafting his client’s construction contracts to avoid placing the owner in the middle of the dispute, and giving the owner alternative remedies to get their project completed in a timely manner, at either no or minimal additional cost to the owner. Key concepts, such as the scope of work, plans and specs, payment schedules, substantial completion and retainage, must be clearly understood and integrated within the construction contract to be consistent with the contractual obligations of the architects and engineers, local building regulations, and any subcontractor contracts that are involved. All of attorney Godfrey’s knowledge and skills are leveraged to the benefit of the owner in keeping all of these concerns properly aligned. Contact Orlando construction & developments contracts lawyer Godfrey online or call 407-890-0023 or toll free 866-243-9048 to discuss your corporate law concerns today.